These eclectic, quirky and colourful handmade Earrings are just the perfect addition to any jewellery collection! Super comfortable to wear - Surgical Steel Studs, comfort back included. Please message me with any questions you have. Happy Shopping! 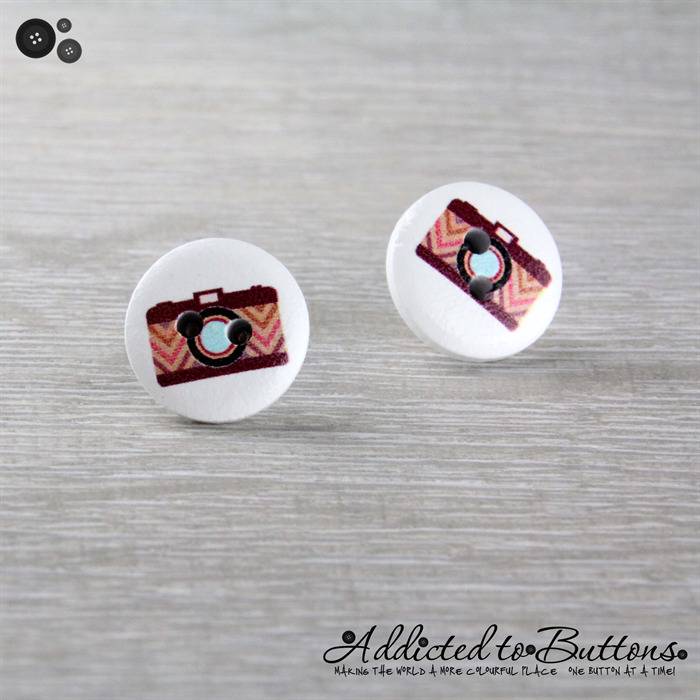 Addicted to Buttons - Making the World a More Colourful Place, One Button at a Time. © Addicted to Buttons - Please respect our style, designs, originality and integrity of our work and do not replicate.